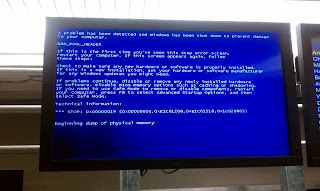 Thoughts from a Traveling Tech: And the flight may be delayed. 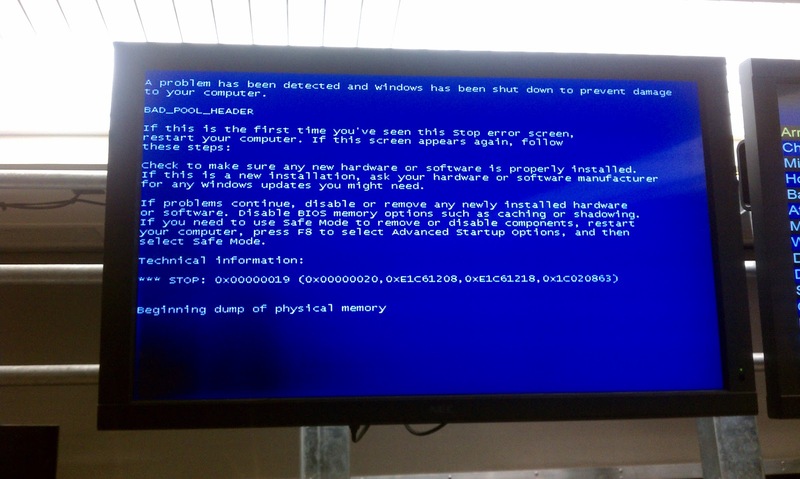 One of the things I enjoy finding out in the wild is signs that Windows is use and even better is when Windows goes awry in its operation. I once again had that opportunity to find one of these moments when I was leaving for another trip. 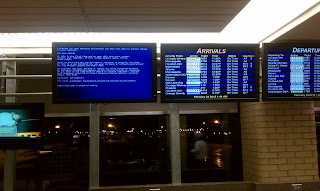 As I was walking down to the gates at Eppley Airport in Omaha I glanced over to the flight information board to verify the gate number I was headed to and to my surprise one of the screens had suffered the worst insult possible... a BSoD. Another fine example of how technology can frequently cause greater problems than they solve.